How to replant a pencil cholla cactus plant. The steps for moving a cactus to a new location are not all the same as for other garden plants. The pencil cholla (Cylindropuntia ramosissima) cactus plant is a short shrub type cholla that only reaches 3 to 5 feet in height. Its branches grow large individual spines, making transplanting this cholla precarious. It will bloom throughout the summer with yellow flowers. There are some differences in transplanting cacti, such as the pencil cholla cactus, than when transplanting non-desert dwelling plants. Hang a tag on one branch of the Cylindropuntia ramosissima that is facing south. The Arizona-Sonora Desert Museum Book of Answers recommends keeping the plant position the same when transplanting. Marking the side facing the southern sun will help you remember how to plant it in the new location. Dig around the cactus using the longest branches as a guide for how far out to dig from the base of the pant. When digging you shouldn't need to get too close to the spines. Move the pencil cholla to its new location while wearing protective clothing and gloves. Long gloves will protect you best. But if you don't have any, wear long sleeves and long pants. It's nearly impossible to avoid the spines. The new location should receive full sun throughout the day. Inspect the roots for any damage. With your gloved hand, gently dust any cut or scraped roots with sulfur to help with healing. Dig a new hole that is wider than the circle the roots create and just deep enough to hide the roots. The roots do not need to be deep, but they do need a lot of horizontal space to grow. A full grown pencil cholla will need a hole that is about 3 to 6 feet in diameter. Position the plant in the new hole in same direction it was originally positioned with the south side still facing the south. Fill the hole and cover the roots with sand or a sand and soil mixture that will drain well. Water the pencil cholla deeply in two weeks. Do not water it immediately after replanting. Unlike non-desert plants, watering a cactus immediately after moving can cause transplant shock. After that first deep watering, it will only need watering sparingly as needed until winter. You'll also want some thick long gaunrlet gardening gloves to avoid injury from the spines. 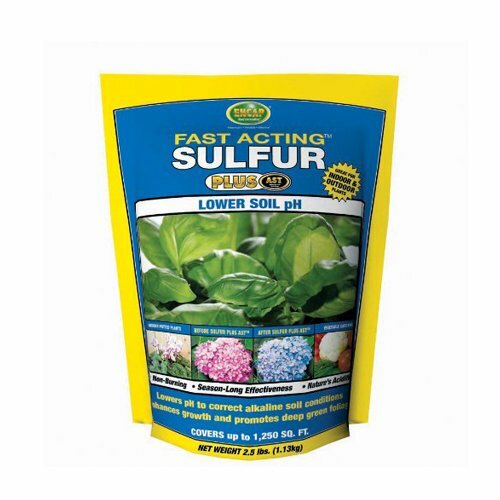 You will need sulfur to help heal any roots that become cut or damaged when replanting.